Encephalitis Global is so very proud to have been invited to join the Working Group to assist in planning the AE Symposium here in North America. This Educational Symposium has been organized by several autoimmune encephalitis not-for-profit organizations. 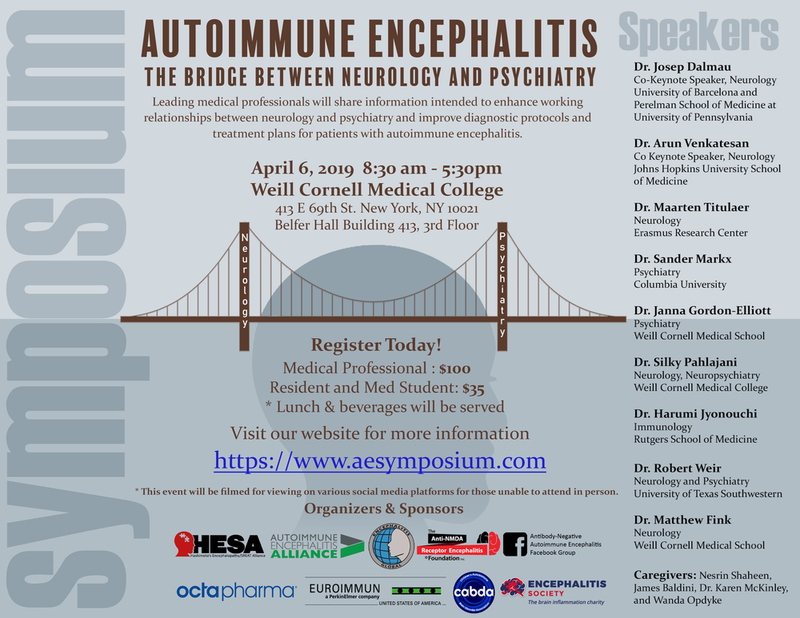 Leading medical professionals will provide professionals and medical students with current information intended to enhance working relationships between neurology and psychiatry (and other specialties), so as to ensure prompt diagnosis and treatment for patients with autoimmune encephalitis. For more information please view their flyer below, AND visit the website of the AE Symposium.